Under the cabinet fixture. Make sure the fixture is the same length as the UVB bulb. The UVB should span approximately 2/3 of the tank length. It will be mounted along the back of the tank, in the basking spot area. 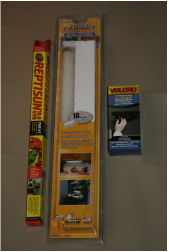 Quality UVB specifically designed for your reptile species. For guidance, please refer to the Understanding Lighting page. 2-inch wide industrial strength Velcro. You will need approximately 8 inches of Velcro. The under the cabinet fixture pictured here was purchased at Wal-Mart for under $9.00. Be sure to remove and discard the protective plastic cover from the bulb. Reptiles require unfiltered UVB and the plastic cover blocks the UVB. If there is a retractable cord, pull it slowly to insure that it does not tangle and bind inside. Research the species of reptile that you own and buy the correct UVB. The 'Understanding Lighting' page has some links to help you understand why reptiles need UVB and our 'Reptile Care' page can help you learn about your reptile's needs. UVB bulbs need to be replaced every 6 months, so it is helpful to label the bulb with the first use date and the reptile's name. You can possibly use your bulbs for longer if you use a Solar Meter and test the UV output. 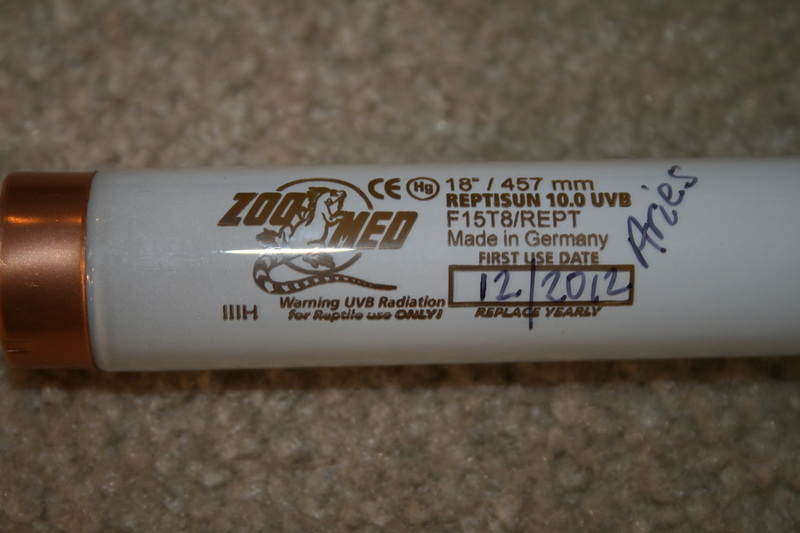 The best UVB will sometimes have a better UV output over a longer period of time. The fixture pictured is 18 inches long and has rectangular markings on each end which I used as guides when cutting the Velcro. 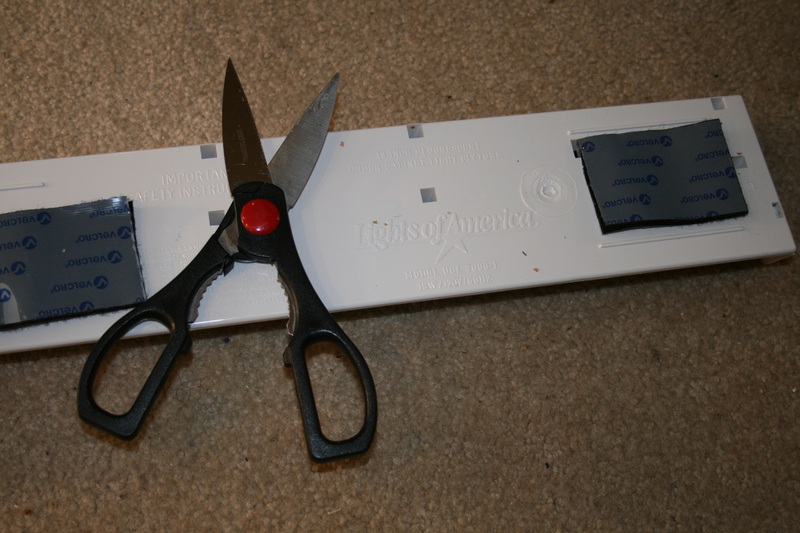 With the Velcro lengths stuck to itself, cut two pieces from the Velcro. For this size fixture the Velcro has been cut into 2-1/2 inch lengths. Peel the backing from the side that will face the fixture and adhere both pieces of Velcro as seen in the picture to the ends of the fixture. 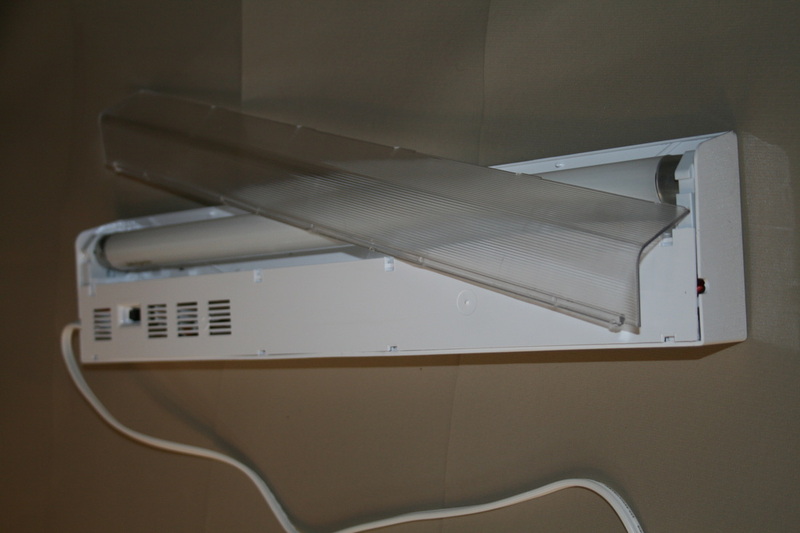 Determine where you want to place the fixture based on the needs of your reptile. Consider where the cord will exit the enclosure and orient the fixture accordingly. It is generally advised to place the UVB as close to the basking light as possible. Peel off the backing from the Velcro and press the fixture onto the glass surface. The fixture can be removed for cleaning and replacement.